We think we do a great job but don't take our word for it. Many of our clients are glad to share their experience with us. Below are very recent comments/testimonials from our clients to help show we offer some of the best dental services in Honolulu. Best dentist I have ever experienced! I came to my appointment anxious about the removal and replacement of an old crown. Even though I had been told there would be no pain and no need to numb the area, I was skeptical.However, Dr. Devereux had never given me bad information and all of my experiences at Ala Moana Dental Care have been positive, so I hoped for the best. It couldn t have gone better! From the assistant who greeted me to the procedure itself, everyone was friendly, kept me informed, and were concerned for my comfort. Dr. Drevreux kept me informed(and entertained) as the procedure progressed. He is kind to anxious patients and even made me laugh. staff was very kind and knowledgeable. very professional. Infinite stars to the entire staff and my new forever dentist Dr. Devereux. SO kind, gentle, respectful, comforting, professional, understanding, gifted. He explains all the different options, doesn't make you feel pressured or rushed and is on top of the latest and greatest to ensure his clients get the best options possible. On top of all that, the entire staff and their scheduling options are so accommodating. I have been trying unsuccessfully for months to get a dentist to see me and they not only took me the next day, but did the needed work right then. And another treat besides a lovely and warm, open office - the most comfortable dental chair I've ever sat in. Excellent. Their hours are great, the front liners are responsive. I was able to get an appointment and possible surgery within 36 hours. Couldn't say the same about other dentist offices I contacted. Consultation with Dr. Mandich was straightforward, as was the the estimate which was reasonable, and within minutes, I was being numbed and readied for extraction. Dr. Mandich walked through every part of the extraction with me and continued checking in on me asking me questions as he went along. Forty five minutes later it was over, and I was given clear explanations on the meds. It's Day 3 now and my healing is still on track. This is a place that means business. Others should follow suit if they don't want to lose theirs (two dentist practices lost mine when they A) ignored my phone calls and B) simply sent me away to get Peridex and gave me referrals to oral surgeons with no availability. Bravo and brava, men and women of AMDC. Mahalo! Great price & great service! I will be back. Beautiful office, friendly and professional staff, excellent service. Everything was great - service, cleanliness of office, professionalism by staff. One little thing is the appointment took a bit longer than I thought it would but I had some extra time so it was all right. I have been recommending Ala Moana Dental to my closest friends. So pleased we found Ala Moana Dental and got right in for emergency repairs following a fall which resulted in 3 broken front teeth! Thanks to their quick work, I was able to leave their office looking like my old self. Everyone we show my new teeth to (temporary crown) is amazed at how I look like nothing ever happened. Ee are most grateful to the staff for their assistance. Mahalo!! I had a crown come loose on Saturday afternoon, found Ala Moana Dental Center office info and hours on the internet. They are open 7 days a week and appointment start at 6:30am, they were able to get me in early and the whole procedure only took less then an hour. Very professional, didn't try to give me something that wasn't needed and explained the procedure and cost estimate before the work was completed. I have been going here for several years. Prior to that, I was always fearful of going to the dentist and had often gone too long between visits. From the very beginning, the entire crew has always made me feel comfortable. My last visit this morning was for cleaning. Sharon is the best in the world. I actually look forward to cleaning appointments. thanks for everything. I was late, traffic; even with 15 minute head start. Everyone was efficient!!! dr. Gary checked me, gave me some numbing agent and girls completed my appointment. Great job girls! Thank you! Took me in when I got off the plane from Houston at the last minute. Very fast professional service, would definitely recommend them! I would like to say Thank you to the entire team who assisted me on Dec. 8, 2016 - from the person at the front desk who scheduled me , to the dental assistant who welcomed me , made me feel comfortable after seeing I was getting a panic attack (high blood sugar and blood pressure do that to me), and last but not least to the dentist (Dr. K.) for his great professional service , done on a last minute request - not even an emergency. I received the information, the advise and attention I needed at that time and was referred with all necessary details to my long time regular dentist Dr. D.D. GREAT Service, exemplary dental office! Happy Holidays! My experience this evening was absolutely fantastic. I say that considering I had to crowns put on. My dentist was personable and very funny. He and his assistant made me feel incredibly comfortable. He was very helpful and patient with his assistant. Thank you both for making what would normally be an unpleasant experience a fantastic one. Merry Christmas. More than 15 years later, Ala Moana Dental care continues to give me confidence that all of my dental needs will be met. Total efficiency in all things business, very personal in actual care. Excellent choice of doctors and appointment times. Highly recommended. I came in to have my teeth cleaned....it was a good experience as always as these was my second cleaning of the year. They send out a reminder to their to make sure yearly benefits are used. Everyone was friendly and customer oriented. My appt was for 1:00 pm but they took me in at 12:30 pm instead of waiting for my scheduled time. I appreciate the service and customer care. I like them so much that I recommended Ala Moana Dental Care to my daughter and her family. She is very pleased with them too. I need to have a bridge which I have been putting off for years. By the time I left the office, I had an estimate in my hand giving the breakdown on costs and the options available for financing. That was excellent too - 18 months interest-free. I shared this with my daughter who said that she had used the same option to finance much needed dental work..... and was very happy she did. Everyone is very friendly and professional. This is the first time in my life that I don't mind going to the dentist. I was able to make a dental appointment same day, within hours, and be seen within a minute of me walking in early, to repair my tooth. We have been going here for several years now and highly recommend Ala Moana Dental Care! Totally the highest quality service ever. I'd just like to say my experience with ala moana dental care was the best service ever. Dr Inoue and his staff has terrific customer service skills, explained my procedures clearly was very compassionate and always made me feel comfortable. I live on the north shore but would take that drive to Honolulu in a heartbeat just to make Ala Moana Dental Care my Dentist. I recommend people who are afraid of the dentist to go there they make you feel safe. I always appreciate the top-notch service that the entire staff provides. I feel very fortunate just to be a patient at Ala Moana Dental Care. Mahalo! I am a very nervous patient. I only go to the dentist when I am desperate. I was surprised that I was able to be seen straight away on a Saturday. Dr. Nguyen and his assistant were wonderful and put me at ease. I am not nervous about going back and have recommended the practice to my husband and would do the same for anyone looking for a dentist. Convenient appointment times and super fast!! It was really great to be able to go on Thanksgiving Day for my appointment. I have never heard of a dentist place open on a holiday but it was great that I didn't have to take time off work to go to the dentist. It's a convenient location too! Dr. Komenaka was super fast too - I was in and out of there in 30 mins flat!! He did a great job on my tooth too! I like your business hours! You folks make it very convenient for us working people who work at various times and days. In general, I don't like going to the dentist but you all are very nice and have put me at ease, which makes my dental visit a lot easier. Keep up the good work! Katrina is an awesome and very professional hygienist!!! She is a phenomenal asset to the team!!! Each time I come to Ala Moana Dental Care I am treated with great care. The staff is welcoming and friendly. In particular, my hygienist, Lori, is incredible...always smiliing and professional. Thanks, Lori, for taking care of me! My experience with ala moana dental care was very rewarding. Everything was explained to me in detail. Got there a little early; was seen immediately; hygienist seemed both very competent and very gentle, which I truly appreciated. I don't like going to the dentist, never have, never will. However my visit today with Lee Ann and Dr. Devereau were extremely nice and comfortable. I think my dentist is great! I am so thankful that I am going to Ala Moana Dental Care as everyone there is so friendly, patient and accommodating. Much Aloha! One of the best dentist offices I have been to, very polite and professional staff. I lost a front tooth veneer on Saturday night. I was panicked because I had a meeting on Monday morning and a flight on Tuesday morning. I was shocked when someone answered the phone on a weekend evening. I was even more impressed by how friendly and helpful the receptionist was. She was honestly trying to get me help as soon as possible. They gave me an appointment for 7 am on Sunday! The dentist was talkative and friendly. The staff were professional and pleasant. What a great experience! Positive experience with efficient staff. One suggestion would be to offer a discounted teeth cleaning service for those who decline x-rays, e.g., $67 for teeth cleaning with x-rays, or $50 for teeth cleaning without x-rays. Not all patients need or desire x-rays but essentially pay for them because no adjustment is made for those who decline. Appointment started punctually on time, Hygienist was friendly and conducted her examination in a professional manner. A smooth operation of the highest degree was experienced, it seems to improve with every visit I make. Keep up the good work, your in a competitive business. My experience with Dr. Devereaux and his staff was excellent. They were very professional, friendly, informative and caring. They provided an immediate solution and plan to resolve the issue of my "infected" tooth issue. And when we left the dentist office, I had relief. And the past two days have been very positive. The pain has almost subsided completely, the swelling is going down quickly and we'll be able to move forward with the next step of plan. There is only one negative and it needs to be said. Dr. does a great job of numbing however, I didn't receive enough numbing to offset the drilling pain. I'm thankful that it was not as painful as it could have been. I'm happy that Dr. gave me an additional shot so that the timing of filling my meds, was perfect. On a scale from 1 - 10, you guys get a 10! It's a blessing to have a dental center that is open 7 days a week. Fits my schedule perfectly!! Mahalo!!! I appreciate how quickly they were able to accommodate my schedule. They got me in and out with a smile. All the staff were very helpful, from when I was referred(Kailua Dental by Johna) until I was talked to by Dr. Gary, I was never embarrassed or felt pain unnecessarily. I hated dentists but felt very well taken care of. Not scared or over burden by cost. Reasonable! Thanks! Look forward to next visit. Teeth looks great! I hate going to the dentist, this was almost enjoyable. Very professional, very pleasant. Outstanding dentist. Will visit again, probably convinced me to have more work done. The service they did today was awesome and was painless. I love how the staff were very friendly and Dr Devroy was very friendly and joked to make me laugh. Although I don't have a "regular" hygienist or dentist with this practice, and I see someone different each time, I've been pleasantly surprised with the experience at every appointment. Everyone at the practice is very professional and friendly. Highly professional and friendly. Efficient. First time to Ala Moana Dental and was impressed with the service from front desk to the hygienic cleaning to the efficient X-ray n Doctor's exam. All courteous and professionals and there was no waiting. In particular when I told the dental hygienist that I'd prefer manual she did not hesitate to perform the procedure with her expert hand. Good crew and really fast. Excellent work, friendly & efficient. I appreciate that they don't try to push you into more than you want or need. Amazing experience for my family of three. We can't wait for our 6mos follow ups! Would recommend to friends and family. Staff was very friendly and took the stress out of visiting the dentist. I was able to call and get in on the day and time I wanted. They answering any questions and concerns you may have. Its very clean organized place. I was early for my appointment since I did not know how traffic would be. They took me right back and got the process going. All workers are professionals and clean high tech dental place. IAll workers are professionals and clean high tech dental place. I used to hate going to the dentist. Now that I have Dr. Matto and Sharon taking great care of my teeth, I don't fear my appointments. So awesome not having to be stressed out thinking of the dentist. Oahu is fortunate to have such a fine dentistry office such as this! The costumer service & care received was top notch. The staff went above and beyond to make my family feel comfortable, thank you. Dr. and Dental Assist. were very friendly and put me at ease. Asked if I was feeling alright during the extraction, showing how much they cared for their patient. I would highly recommend Ala Moana Dental Care to my relatives and friends. Friendly staff and informative dental assistants. Dentist also friendly and fully explained procedures. Thanks for the consultation and I look forward to the implant process as I am sure the service will continue to be stellar. I love that they are so friendly and thourogh. They have flexible hours which makes it convenient. Very, very professional! Courteous & polite! Very, very professional! Courteous & polite!! Very, very convenient!! Awesome!! I am already recommending family and friends give Ala Moana Dental a try. I really liked this place and will be back for my next cleaning. They are very professional, timely, have great hours, and a nice facility. No complaints. Highest Quality, Very Professional Service! Sharon Shishido is the very best at cleaning our teeth! I have had broken a tooth for a few months and have been putting off going to the dentist. Today I had excruciating pain in the nerve of the tooth. I called AMDC at 3pm and they were able to accommodate me at 5pm the same day. When I entered the office, I was immediately greeted. I was taken in for my xrays within 5 minutes of my appointment time. Dr. Nguyen was quick to diagnose and recommend a root canal and crown. I expected to be given some pain medication, and told to come back next week some time. Not the case! They did the procedure immediately. They were very concerned with my pain level and checked on me constantly. Dr. Nguyen is very kind and considerate of his patients. The procedure was quick and with very little discomfort. I have recommended AMDC for years and will continue to do so. My experience is always more than satisfactory. Very professional, friendly, accommodating staff, from my dentist Dr. Nguyen, to the dental hygienist (Chris? ), the x-ray technicians and the whole reception staff - highly commendable. And of course the convenience of their hours of operation. I had a seizure two days before I walked in. I had clinched my front teeth hard and wanted to get them checked before I went on vacation. I had a walk in appointment in half an hour! Everyone was kind and personable I had x-rays and an exam as soon as I came back. The Doctor explained that everything looked good and the small ache I had would probably clear up in a week or so and to come back if it didn't. Always wonderful people. Pleasant atmosphere. This is why I keep going back! I have recommended coworkers. High Quality, Professional, and Friendly. Perhaps the most well-managed experience in Honolulu. All Employees happy and personable. From the moment I walked in, the front desk, while busy acknowledged my presence and there was zero wait time for any phase of the visit. A simple form to fill out. Work was professional. The only thing I regret is putting off the visit because I assumed it would take a long time to get on the schedule - actual experience was less than 48 hours. As usual my experience was fantastic. They always take good care of me at Ala Moana Dental. Thank you all. Modern Equipment, Stellar friendly service, Fantastic cleaning! You would have received a fifth star if the dust on the ceiling was clear of dust. Sterile clean office goes a long way. Suggestion: pipe in some background music! Super happy (had to go through two other dental offices before I found you guys. Thanks! I had a great experience last night with the hygienist and my dentist! Katrina was my hygienist and she was very gentle and she work smooth! I didn't even feel any pain , i usually do with my old hygienist and she always make my mouth bleed but with Katrina i almost feel nothing and saw how clean my teeth is! I forgot the name of my Dentist but i was his last patient last night and he is amazing too! I was visiting the Island on vacation and suddenly had tooth pain which developed into severe pain over a few days. I did a quick internet search for dentists in the area and came across Ala Moana Dental Care. I read several reviews regarding their emergency dental services and decided to give them a call. Their hours of business are great. I called in the morning and they were able to get me in a few hours later for a 1:30 pm appointment. Dr. Matto was my dentist. It turned out that I needed a root canal. Dr. Matto and the team at Ala Moana Dental Care were very friendly and professional. Dr. Matto was great. Dr. Matto made sure I was fully informed before and during the procedure. The root canal procedure was smooth. No issues, no pain. I write this review two days after and I am pain free. Very thankful to Dr. Matto and the team at Ala Moana Dental Care. With worst toothache ever close to killing people I went to Dr. Devereux's office... that was in 2014, right after Independence Weekend, when "my" dentist's office was closed. Doc Gary took over... Dr. GARY KOMENAKA that is actually. ONE OF THE MANY GREAT THINGS ABOUT HIM ? He works super fast. He had planned the "how to" within minutes, needed only 3 appointments to do several root canals & cavity. Absolutely awesome ! It would have taken light years to do the same things in a different office. AND... I never heard one snooty or arrogant comment from anyone working there, like "you should have come earlier" or whatever you might hear in other dentist offices. Some have what it takes to make you feel smaller than you already feel anyway. I didn't have insurance for years. I grew up literally in a 'different world', on the other side of the planet and had basically no idea what "flossing" is... neither did I even know terms like "professional tooth cleaning". ANOTHER GREAT THING ABOUT DOC GARY ? and since 2014, trust me - he heard quite a couple from me, like "You know I easily react with severe cold sore... I fear this... I get blisters on both lips, hurts like hell." or "I might pass out... You know, it had happened before." & "I need my BEAKER-puppet here. I need someone I can squeeze when things start to hurt maybe." well... some patients are a little crazier than others ~ you've heard about those 'anxiety-candidates' before... :) I'm more in the "super crazy department" ~ it still doesn't seem to bother him at all, he always simply "lets me be", he gets me. Basically, I feel super safe and taken excellent care of. In 2015 I met a different doctor working at Dr. DEVEREUX's office. He was as cute as DOC GARY is. I think it was Dr. Nguyen, but I'm not sure if I remember that right. I got all questions answered that day, super professional ! Fast-efficient-friendly ! I can go whenever I like to. There's always someone there. And I am my own boss. I am in charge. I can decide when to go, without having to fear my dentist's office calling me and "reminding" me, or making me feel like a '2nd class person' if I won't stick to something. I didn't even have much pain after he had done the root canals. Just got home from the appointment, only yesterday. Don't even have much pain. Wow ! Girls at the front desk were super sweet too... asked me afterwards, how I'd get home, if I'm ok... and boy, that was really something ! With an accident in the house, you so depend on friendly people who take care of you when you're not at your personal best. We all will get older. At one point or another we won't be at our personal best anymore... and then we are so grateful for NICE people that we literally depend on and need. Haven't been anywhere else since 2014, and not going to... DOC GARY IT IS ! and SUPER SUPER HUGE HUGS & a SPECIAL 6XL THANXS TO THE BOSS for all the many discounts I got... was such a big help !!! Really made us feel welcome & comfortable on our first visit. Always concerned about our comfort level and very professional at all times. We are very happy. No waiting to get in, fast and professional proceeding. Grate job. Very different (in the very positive way) in comparing to my previous dental provider! Quick, easy, to the point. Dental Hygienist, Lori is great!! I had the best six month cleaning with Lori on April 26, 2016. Lori was very thorough and gentle with every step of the process. Janice the assistant is also very kind. service provided was excellent and the doctor and staff are very friendly. My dentist did a great job removing a temporary filling and putting in a permanent one. It was painless and done in a very timely manner. Excellent service. Friendly and prompt and hours are very customer service oriented. i was travelling from the Philippines to Virginia, via Honolulu and Florida to attend my niece's wedding in FL. While in honolulu, the night before Easter Sunday, i was snacking on macadamia cookies when my LOWER FRONT TOOTH CROWN BROKE.i went to church, then to Easter brunch with a missing tooth! even with my beautiful easter dress on, i still felt so ugly!! then i had to leave the next day for FL! and in 2 days, i will be a principal sponsor at my niece's wedding! i had to think and act fast! i was trembling, i was stressed, i was frantic!! I surfed the web that night after Easter Sunday and found you are open 24 hours, thank God!! i made an appt immediately for the next morning ... when i arrived at your clinic, DR. M. (tall perfectly built very handsome young dude) said, my case is a tough call. nevertheless he had a dialogue with me as to finding the best solution so that the tooth will still be there which will give me confidence during the wedding. We agreed that taking my lower partial to their dental lab nearby where the lab technician adds a tooth to it to cover the missing one, is the best approach. Dr. M explained that a COMPOSITE may not stay and can't guarantee to stay during the wedding .... their lab technician did a wonderful job! he went the extra miles to complete my partial in no time at all which made me beautiful again and confident!! MY SPECIAL THANKS TO HIM!!! you guys are fantastic!! You listened to my urgent situation and helped me find the best solution. Dr. M, you are awesome!!! I got in last minute, everyone was knowledgeable and friendly. All around great experience! Fantastic. Staff members Katrina, Brandon, and the ladies at the front desk were all polite and friendly. Thank You. Lori is very polite and friendly. She's very concern and clean my teeth very good. She also give good advice I need to floss a lot because I hardly do it. Very friendly, very respectful and we'll organized. Lori was very excellent. She was very friendly, very respectful and we'll organized. First time visit this dental clinic. I was new patience , check up and cleaning. everything was perfect. rolly who taking care of my cleaning , she did gread wonderful nice work. clinic was also nice and comfy. I really love it. I was so glad that I picked this dental clinic after moved honolulu. I will go back . thank you. The best dentist visit ever!! We were on route for our vacation in Hawaii when walking out of the plain I realized that the gum I used to release the pressure in my ears at landing, pulled a filling out of my tooth. Total panic!!!! When we got out of the airport I started my search but was very nervous because it was already 5pm. I read the reviews and called this office. The receptionist was very understanding and I got a 7pm appointment!! Excellent service, I left with a happy face. Great customer service from all the staff!! The receptionists their staff were warm welcoming, Gary and Marissa eased me through play-by-play, the process on what I was to expect during my visit. Easy to find and parking is conveinient! Mahalo! Will definitely recommend you folks to my family and friends. I love this dental care place !!! My whole family comes here. We always get a high quality service, very professional! , very friendly, great customer service!!!! Great service, professional staff and clean environment. Ala Moana Dental Care offers early morning office hours so I took the 6:30 am opening. I expected to be the only there but when I walked in the office was open, fully staffed and patients already in progress. The front desk staff was cheery, awake and not dragging, the dental staff was ready and waiting. Dr. Matto did an outstanding job. Just an overall great experience. So for all you early birds, this is the best! As an FYI, the parking lot is closed so you'll have to find street parking, 2-hour metered parking on Kaheka and Makaloa, 20 minutes for a quarter so it's a dollar an hour, bring change. Or you can park in the basement parking of Ala Moana for no cost. A couple weeks ago I brought my wife's friend to Ala Moana Dental Care and she was more than satisfied. Since a tooth bothered me since weeks, I went there this morning myself. The thorough examination found not only the reason for my tooth ache, but also another big cavity. For both, Dr Inoue said a root canal procedure could be necessary because the cavities were so deep. But he could fix both teeth with only a filling! I didn't feel any pain neither during nor now, hours after the procedure. This is definitely MY dentistry now! Mahalo! My experience at Ala Moana Dental Care was great! Everyone is so nice. I would definitely recommend this place to everyone! Perfect location, parking & validation, the facility is beautiful, AND open daily! I had a bad toothache and the office was able to see me the same day after I called. Everyone was kind and helpful. I was so thankful to be seen at such short notice! I've been to Ala Moana dental care for cleanings and to get my wisdom teeth out. They are all very kind and professional, and I'm always right in and out--they are very quick. I was really nervous about getting teeth out, especially since one of them was really tricky but Dr. Mandich was really good at assuaging my nerves, and paid close attention to how I was doing and made sure I had absolutely no pain. Thank you!! I had a 7Am appointment today with a check in time of 6:45Am. The young ladies at the front desk were very sweet. I was called in after finishing up my paperwork & was walked back to do X-Rays, I wish I was told that, that is standard routine for check ups for new patients. Once in the X-Ray room a young lady did my full mouth of X-Rays, then she walked me to the exam room to prepare me for my cleaning with Lori, once inside I met first with a Dr. Who went over my X-Rays with me, he let me know in intensive detail all that was going on in my mouth & what was the main priority to work on first and what my possibilities would be. Once he left I was sent back in to do more X-Rays of the specific area of concern for a better picture of my roots. Once that was finished I was led back into the exam room where I was prepped again for my cleaning. During the cleaning Lori was so gentle and amazing and sweet. She was a doll with me, she let me know that she wanted to do part of the cleaning today and allow my gums to rest so that I would be better able to do the second cleaning a little deeper under the gums. She also told me that if during the second cleaning it became sensitive once more, that she'd place a numbing gel in the areas affected to allow for a better cleaning experience (AWESOME!) All in all it was a great experience, I just felt I had to ask the questions in order to receive the information I felt was important for any patient to be told prior to any type of exam or routine cleaning, which is why I only gave 4 this time. I'm sure during and after my second cleaning it will be a 5. You all are wonderful, thank you so much! Great customer service!! great way of treating dental patient, etc!! High quality service, new age office, great staff, great care. My hygienist Chris was so good that i was even relaxed and enjoyed my getting my teeth cleaned for the first time. In fact he was so good and so fast that i almost that he did a ok job-but he did a great job in half the time my hygienist of twenty years would take. I am thrilled to be part of Ala Moana Dental Care they are the cutting edge in equipment and staffing. Love this place and the staff.... They make me feel like I'm a friend.... Thank you Ala Moana Dental!!!!! I have been terrified and embarrassed to go the dentist. Terrified because of past experiences where the dentist didn't address the fact that I could feel everything on the right side of my face while doing a root canal in high school. Since then I didn't return and did s bad job maintaining my teeth causing me to feel very embarrassed and ashamed to smile or show anyone why I'm so much pain due to an infected root canal and cavity. As soon as I was taken to do my x-Rays the assistant had definitely lifted a little relief and stress. Dr.D, my savior comes into the room and within a few minutes all my worries are gone. I could go on forever about how he is and his whole office, but I went from going to the dentist twice in 8 years to twice in 2 days in which I asked to return for cleaning... Thank you ala moana dental!!! Least Painful Root Canal Ever! I called last night with a toothache and they scheduled me at 6 AM this morning. I have had many root canals and crowns. This was by far the easiest yet! Dr. Inoue was great. Ala Moana Dental Care is the best dental suite I've ever visited, and at age 67, I've been to quite a few. You notice the cleanliness and professionalism from the moment you walk through the doors. Receptionists are kind, considerate and very helpful. All staff were just great from the assistant to the Dentist. Each was courteous, professional and listened to me. My Hygienist was not only professional but took her time to clean and polish my teeth with no discomfort. I was especially pleased with my Dentist. He explained things in a clear way that a lay-person can understand and gave me alternatives to available treatments. Ala Moana Dental Care is truly the best and most definitely deserve the 5 stars. I would have given more if possible. My porcelain veneer chipped on my one of my front teeth and, of course, the timing was terribly inconvenient ... However, I remembered Ala Moana Dental is open 7days a week and with extended hours. HOLY CATS! I was thrilled when they had a same day appointment available for me and fixed my tooth up with temporary crown and fitted me for a brand new shiny one-for a very reasonable price. Thank you! Enjoyed the service and quality. I made an appt. due to gum tissue sensitivity and received temporary caps on my two back bottom right molars. I had a cavity on one tooth and a slight crack on the other. Dr. Gary and his assistant were amazing, very attentive and kind. I expected my 0700 hour appt. to last an hour, but it lasted 2 1/2 hours. During this time I felt no pain and felt very comfortable. At the end of my appt. Dr. Gary and his assistant greeted me goodbye. I have always enjoyed the service and quality to your craft. Thank you. The staff, from beginning to end treats you 9great. Always smiles all around. It was good!! Good customer service, waited a bit to get served but overall it went good. Very good in all aspects. Very good in all aspects. Hygienist forgot to give me a toothbrush package at end though! The staff here are amazing. They can fit you in for an appointment same day, the facilities are really clean and they are very careful to make sure you're comfortable. The dental assistant who did my cleaning today (Sorry I forgot name) was very thorough and it didn't hurt at all, which is more than I can say for nearly every other visit I've had at other facilities in my life. Keep up the great work, thanks for the positive attitudes. I like appointments that occur when the appointment time states that it should occur. I was seen within 30 seconds of walking in the door, was greeted and told that someone would be right out to take me back for the procedure. It was fast, friendly, and efficient. Thanks! I am in vacation here when a tooth broke. After searching by internet and looking at reviews I decided to go to the AMDC group. Indeed I found the many very positive reviews confirmed: very quick admission to consultation and, at the same day, treatment. My tooth was extracted, the work done very professionally by Dr Brett Mandich, the staff very friendly. I can highly recommend this place! Love the availability of appointment times. Your flexibility of schedule times allows me to work around my work schedule so I don't have to take time off of work to get my dental work done. I have no problems referring others that are looking for dental care. I have referred a few already. Dr. Matto is excellent. I felt comfortable when I first met him...honest, professional and personable. Katrina is an excellent hygienist. She is very thorough, professional, patient, and friendly. She is always smiling. I leave the office feeling good and not in pain. Staff and assistants were courteous and efficient as usual. Dr. Gary Komenaka was excellent. His shots were painless with no swelling. I had a crown work done and I'm sure that I'll be happy with the permanent one. The office has a relaxing, inviting and casual ambiance. The staffs are very pleasant and professional. I am thankful to my children (Ala Moana patients) for practically dragging me to this dental office. The hygienist (I forgot her name) was very gentle and patient, put me at ease, and I felt I was really in good hands. The dentist, Dr. Nguyen, was so pleasant and knowledgeable, explaining to me the things I needed to know about my (many) dental needs, and prioritizing treatment requirements. All in all, the level of service I got was more than I expected. I'm here to stay, and hopefully in due course I will be able to smile again. Excellent customer service and top notch dental care. I always thought by the look of the business, that Ala Moana Dental would be out of my price range for good dental care. So for years I just drove on by and ignored them because I just thought I could not afford it. Then one day I received a flier in the mail and something seemed familiar, but I couldn't figure out what it was. I called the number on the flier, asked a bunch of questions and thought "hey! these guy's seem pretty cool" and they are willing to help with my financial planning. Nice ! So I went to my first appointment and what do you know, it was the dental office that I had been passing up all those years. I went in and was greeted by genuinely nice people, I didn't have to wait long and they texted me to remind me of my appointment, and e-mailed me as well. My first experience was awesome, such as those that followed all the way till today. Ala Moana dental continues to treat their customers with the utmost quality and respect and I will continue to see them for all of my dental needs. I highly recommend using them to all of you as well. I was in and out with my new crown in less than 30 minutes. The only drawback of this visit was the parking. The receptionist did not bother to tell me that the parking lot closes at 6pm. When I got there I had to call and was re-directed to street parking making me late for my appointment. It would be nice, especially for new clients - or in my case someone coming back for only the second time after my first visit was an emergency -- to be asked if I was familiar with the parking in the area. With the experience I have had so far with Ala Moana Dental and the white glove approach to their customers I would expect this to be a no brainer. 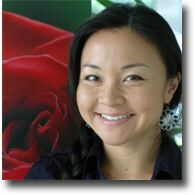 Other than that - I have made Ala Moana Dental my dentist of choice and would highly recommend them to everyone I know. Extremely efficient, clean and professional. I received from the beginning with Sesilia and to Janice in the back and especially Dr.Deveraux's professional treatment and thanks to the dental hygienist for the post-it notes for reminders(Iasked for them) and I am hoping for a better report card next time)!!! The beautiful ladies in the front made me feel welcomed with their smiles &' were also very sweet &' soft spoken. I love this place! Very thorough dental hygienist that went for excellence! Everyone there was great. They were always open to explaining everything and took great care to make sure my comfort was a priority. The customer service is what makes this business strong .Keep your employees the way they are, you are doing great so far!! Entire staff showed a friendly sense of Ohana. No long waits from start to end. My dental problem has a solution which is comforting. He did not do a thorough and complete job .Not all teeth were cleaned, and some visible stains remain. Not good!!! Good technician [Sharon], nice doctor [Devereux], never kept waiting, good receptionists. Office was efficient and friendly. Doctors were very well educated and came across as being very intelligent! They worked with me to make decisions. I never felt they were working only in their best interest. I have found dentists that I will remain with going forward! Big smile with my dentist after my last treatment. Besides my calling in with this same 5 star feedback before seeing this survey, I have tried showing my appreciation by sharing my opinions that you offer great value and real care in Professional service. Hats off to you. Staff is always friendly and very aware of my situation.. Dr.Matto is always personable and secures you of a trusting environment. Best, pain free extraction ever! Best, pain free extraction ever! Dr.Baxter is awesome and his dental assistant too! Love the staff at Ala Moana Dental Care! Ala Moana Dental Care is the best I've ever been to...by far. The staff is very friendly, the dentists and assistants are expert, AND I'm always seen on time! On time means they respect my time -- that's the attitude I like to see in any business. I highly recommend them to anyone looking for a new dentist! Excellent! Great staff , from setting up the appt to the hygienist to Dr Deveroux all were wonderful! Thank you! Great people. Totally put me at ease about getting my wisdom teeth removed. I was as relaxed as I am getting my hair cut the whole time! Excellent customer service and medical expertise. The staff was very friendly. My dentist, though exceedingly young, was excellent. He saw an abscess that my initial dentist had missed the day before. They were able to see me right away. Overall, I could not have asked for better care. Going to Ala Moana Dental Care is always so pleasant. I look forward to seeing my hygienist and receiving excellent care from my dentist. The atmosphere is warm and friendly. I am able to check in and out easily and quickly. The entire experience is absolutely the best. The hours are unbelievably convenient, too. Service was awesome, quick, and painless. Service was awesome, quick, and painless. I got 2 fillings and 2 extraction and was finished within an hour. The service was great everyone was very nice and professional. Awesome location easy to find. Office was very clean and neat. Ill be sure to refer my friends and family. I was seen by Dr. Baxter and Janice for an extraction yesterday. The procedure was quick, painless, and was handled with professionalism and care. Thank you! Submit a request to arrange your appointment. View a full list of our dental services from general dentistry to orthodontics. Dental Tips and resources we think might help you. Copyright© 2008 - 2018 Declan Devereux & Associates. All rights reserved.